Trucksim Map wishes you a merry christmas with your friends and familys. Since the new Italy-Addon is available for some time now, it’s to us to release a updated version of our map wich works with Italy-Addon. What date would have been better for release than christmas? But not only that Italy-Addon’s now working with TSM is a new feature, but also some new parts in map, wich we will not tell you by now, you’ve got to find them yourself. 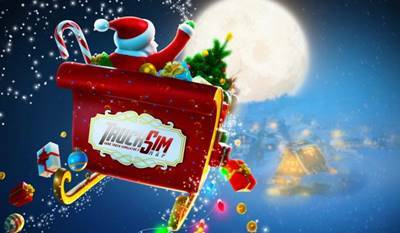 Again, Trucksim Map wishes you all a merry christmas and a lot of fun unpacking and playing our gift for you. Credits: SCS Software für die GrundMap mit allem Drum und Dran.